Schleich Giganotosaurus is museum quality replica, hand painted, authenticated model by the paleontologists of the Museum of Natural History. 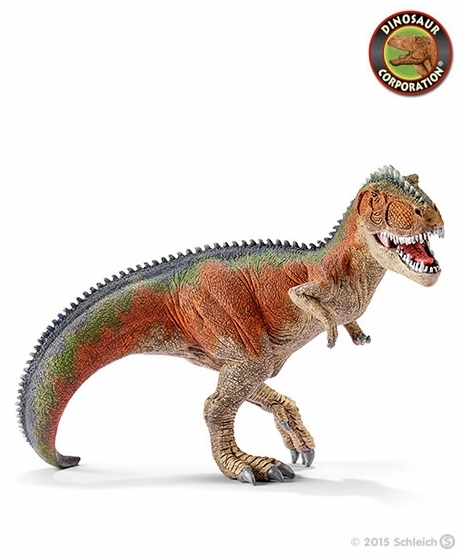 Giganotosaurus is a great toy gift for dinosaur enthusiasts and serious collectors. Giganotosaurus meaning "giant southern lizard" is a genus of carcharodontosaurid dinosaurs that lived in what is now Argentina during the early Cenomanian age of the Late Cretaceous Period, approximately some 99.6 to 97 million years ago. Giganotosaurus was a powerful predator in the Late Cretaceous period. It is easy to be confused with the more famous Tyrannosaurus Rex.